The facts are simple. More than 80 percent of consumers agree that they would choose an American-made product given the choice. Nearly 60 percent of American consumers consider environmental impact when choosing a product, and more than half of all American consumers agree that they would pay “a little” to “significantly more” for a product that met their standards for being environmentally friendly. These facts may seem trivial to you, but they underline the significance of manufacturing environmentally conscious products right here in the United States. 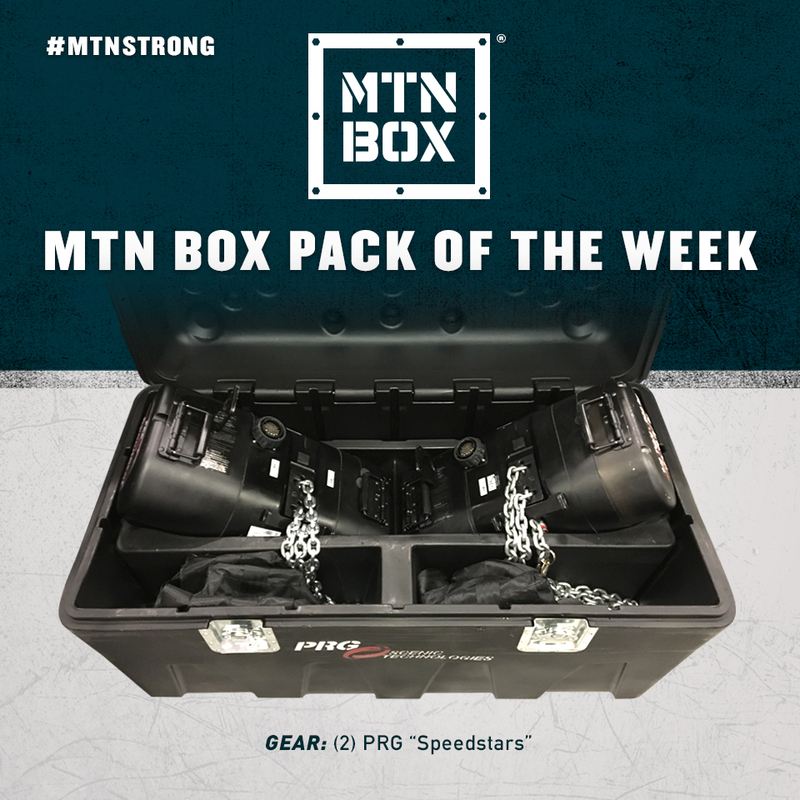 We recently featured PRG’s Speedstar Chain Hoists as our MTN BOX® Pack of the Week. These may look like your ordinary CM Lodestars, but they are loaded with variable speed capabilities that make them leaders in the industry in speed and positional accuracy. “PRG’s Speedstar Variable Speed Chain Hoist is a collaborative effort between PRG and CM to provide 1/2T and 1T variable speed hoists with speeds of 110fpm and 55fpm respectively. 4 Special CM Hoist School Promotions – Get the most out of your training! This is our biggest discount ever for our CM Hoist School, and we’re happy to extend this to verified members of USITT. Sometimes quality training seminars can break the bank—save money today on world-class training at the CM Hoist School with this offer! Together as an industry, we are all taking the necessary steps to improve safety site-wide at every event across the globe. This mission is simple, yet easy to overlook, especially in the fast-paced, think-on-your-toes nature of entertainment production. The key is to work safety protocols and practices into every project from day one. One of the leading safety organizations in entertainment is the Event Safety Alliance (ESA). The ESA has quickly become one of the most important organizations amongst us, encouraging the adoption of critical safety procedures, and providing the education and training necessary to keep crews updated and informed. Jim Digby, Founder and Chairman of the Board of the ESA, is a 34-year veteran of the entertainment industry, and leads the ESA’s journey to global event safety. Our MTN BOX® road cases are manufactured using the rotational molding process, but what exactly is rotational molding? By definition, rotational molding is a manufacturing process using a hollow mold that is filled with material and then slowly rotated, resulting in the material dispersing and clinging to the walls of the mold. Continuous rotating during both the heating and cooling process allows the mold to maintain its shape, and after this process is complete, the material is extracted from the mold for assembly. The history of this process used in the United States goes back to the early 1950s for the production of toy doll heads. The original machine used comprised of an E Blue box-oven machine based on a General Motors’ rear axle. 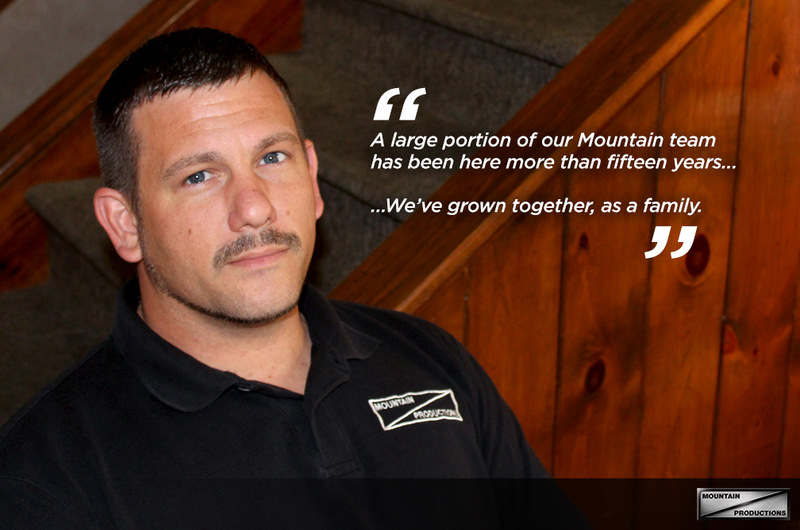 Mountain Productions’ CM Hoist School is entering its 32nd year of annual training, and we couldn’t be more excited. Since its creation in 1985, the CM Hoist School has grown immensely from a small-town training session to a world-wide education experience, drawing the best trainers and talent in the entertainment industry from all across the globe. But how did we get to where we are today? We took a nostalgic trip back in time to explore the history of our CM Hoist School. As the industry grew and evolved throughout time, so did our training. 32 years later, our school has expanded with more students, bigger workshop areas, and more seminars and vendors showcased than ever before. Join us in reminiscing the “good ol’ days” and the early years of the CM Hoist School over at our website. Click here to read more! Fashion shows are the epitome of glitz and glamour, and the fashion entities hosting the event have an elevated focus on aesthetics in every aspect: the models, the production, and the structure(s) itself. Providing staging for these shows requires unique solutions that may not be common in outdoor festivals and concerts. Mountain Productions has staged many fashion shows throughout its history, and we’ve learned the dynamic nature of these high-profile events firsthand. Many of the fashion shows we have provided staging for required elements that are unique to this industry—take a look at some of the fashion events we’ve been a part of in the past, and our unique solutions to each event’s production. 2017 CM Hoist School Registration Now Open! Are you ready to get your hands dirty? Join us on March 20th for five days of professional hoist maintenance and rigging training at our 32nd Annual CM Hoist School! We’re excited to announce that registration is now open for the 2017 event, and we’d like to invite you to hit the books, learn from the best, and receive your Road Technician Certification at the CM Hoist School. We all know the value of proper training and education—the time is now to improve your skill and learn the safest, most efficient ways to advance your career. Most festivals can’t boast a 900,000 attendance with over 500 shows taking place for 10 days. The Pennsylvania based Musikfest has these numbers under its belt, and the festival hosted by Artsquest continues to grow each year. Located in Bethlehem, roughly an hour and a half away from Mountain Productions’ premises, Musikfest takes place by the iconic Steel Stacks of Bethlehem, and has multiple stages hosting local and nationally recognized musical talent. In addition to great music, Musikfest hosts a variety of food vendors, art, and fun activities for the whole family. Musikfest offers both free and ticketed shows, which attracts huge crowds every day of the festival. 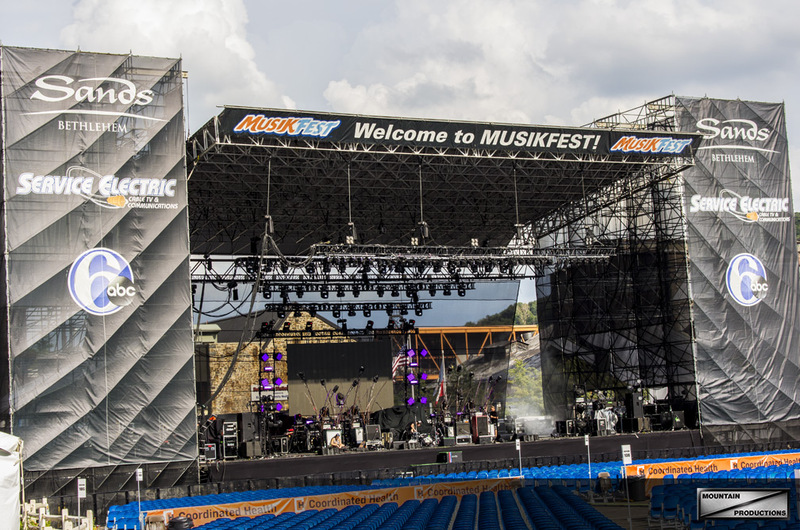 This year, Mountain Productions’ main stage at Musikfest hosted Sabrina Carpenter, Lady Antebellum, and The Avett Brothers, while our side stages saw hundreds of acts take the spotlight each day and night.